The article contains an analysis of rules appropriation mechanisms and political discourse principles by national community in the situation of internal and external threat. Such a situation was faced by Polish political opposition after the fall of the November Insurrection, especially that part of it which decided to return to Poland from emigration. Omyłka (The Mistake) by Bolesław Prus is a literary account of a similar process, namely consolidation of local community threatened by partitioners’ persecution. A side effect of the consolidation process is radicalisation of attitudes and views’ uniformisation. All of them are voiced spontaneously in a given community, here–the national community expressing patriotic views. Other effect of the consolidation process in that group described by Prus is elimination of internal opposition. It results in exclusion of those who uncritically do not approve of all patterns of thinking and who are often seen as more dangerous than true enemies from the outside. All that makes favourable conditions for expansion of each kind of opportunists who become active. Many a time the opportunists take the initiative to the great detriment of the community’s social and political development. Bolesław Prus’ novel Faraon (Pharaoh), published in the year 1895, is based on political events in ancient Egypt in the 11th century BC, at the end of the Twentieth Dynasty. Prus was not a historian and apart from Pharaoh wrote no other historical novels. From the available sources he gathered information on Egypt of the pharaohs and inserted it into his masterpiece of literary fiction. His novel is superior to any other novel on ancient Egypt ever written. Regardless of numerous anachronisms and errors in description of the realities of ancient Egypt, the novel stood the test of time. Regrettably, it is little known in the world in spite of numerous translations into many languages. In Poland the book was subject to critical assessment by some reviewers for excessive didacticism and historical inconsistencies. A new edition of Pharaoh with commentary was issued in 2014. It was prepared by Andrzej Niwiński, a professor of Egyptian archaeology at the University of Warsaw. The advantage of the edition is that it includes a collection of rare illustrations made 100 years ago by a famous painter Edward Okuń (1872–1945). 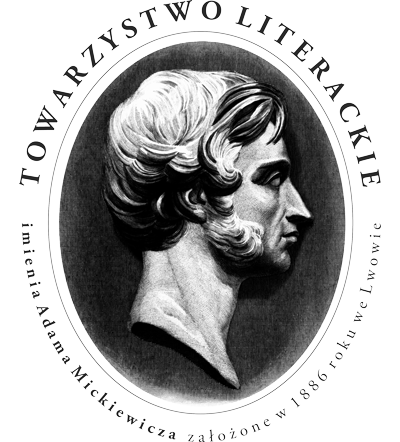 Niwiński’s edition contains many explanatory footnotes and appendices by the editor and by other contributors. These supplementary studies mainly refer to the origin of the novel and to Prus’ readings. The volume also comprises a historical essay on the real history of the Egypt under the Twentieth Dynasty and an interesting text on the illustrations and their author. The footnotes and annexes are rich in valuable pieces of information. Nevertheless, they are not devoid of disputable matters. An important issue in Adam Łukaszewicz’s article is a polemics with the editor’s theory about Pharaoh being an allegorical novel which actually refers to Polish matters. The author of the present paper who works in the field of Egyptian archaeology adds to Niwiński’s commentaries some own observations on the realities described in the novel under discussion. The paper discusses the functioning of the motif of stars and starry sky in Lalka (The Doll) by Bolesław Prus. The exposition starts with a sketch on the role of astronomy in the writer’s scientific interests and a presentation of the methods he employs in his selected literary and journalistic pieces. Next, there follow interpretations of individual scenes of The Doll in which the motive of stars is discernible, with attention paid to artistry and scientific mode of utilising them. On the one hand, the approach contains traces of romantic books experience (which is discussed by Klara Turey) or distant folk beliefs, while on the other hand it proves Prus’ knowledge of scientific papers and profound understanding of the world. Influence of observations by Camille Flammarion, a French astronomer living in the epoch of Prus, also prove vital in the theme of stars in The Doll. The crisis of the rule of Boleslas II the Bold and the tragic death of the bishop Stanisław of Szczepanów (1079) have been and still are subjects of numerous academic investigations carried out mainly in the field of medieval studies. 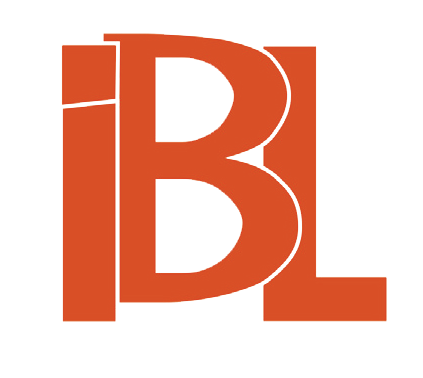 They have also for many years formed the fabric of artistic creation in the array of belles-lettres in which, inter alia, two Stanisław Wyspiański’s dramas, namely Bolesław Śmiały (Bolesław the Bold, 1903) and Skałka (Little Rock, 1904–1906) take the lead. The present study includes into a broader literary history discussion on the pieces of which the center of consideration is a hardly discernible to date problem of original and unique construction of the King’s brother–Władysław I Herman. The paper firstly presents the circumstances of bishop Stanisław’s death and overthrowing of Boleslas II the Bold’s power in the light of present state of art. Secondly, it insights into the then knowledge accessible about the matter and into how it was interpreted at the dawn of the 20th century when Wyspiański started the composition of his pieces. Ultimately, it describes the components of Wyspiański’s innovative artistic vision from the point of view of his acknowledged principle of artistic intuition, allowing him not only to rightly reproduce the historical processes as based on sources, but also, facing their silence, to fill the drama’s empty places with his own interpretive material. The presented method led the dramatist to give the leading role in the course of action, apart from the two anointed, the figure of Herman whom he granted an original and evolving role of one of the main instigators of Boleslas’ losing his throne. Thus, the thesis first described on the ground of history by Tadeusz Wojciechowski (1904) was earlier put forward by Wyspiański, which until now has been a hardly realizable matter. The article is an attempt at analysing three images of Siena in Polish 20th c. literature. They are approached not as much as literary representations of the place, but as three various modes of using, in more general reflections, culturally-bound associations connected with this place. Reading Jarosław Iwaszkiewicz, and Czesław Miłosz’s poems as well as Zbigniew Herbert’s essay lead to formulating the conclusion that for the writers the Italian city served first and foremost as a space of meeting timeless beauty against which the thorny issues of human everyday life significance, imperfection and suffering are voiced. As a result, all the pieces of writing enter into a dialogue focused on such oppositions as abstraction and materiality, duration and movement, lightness and heaviness, ideal and reality. Postmemory is the key to understand the literary frame function in the Holocaust discourse. The contemporary generation of writers and literary audience’s approach to the Holocaust experience proves to be entirely dissimilar. The first symptoms of the phenomenon may be observed as early as in the texts produced in the 1960s, e.g. in Jerzy Kosiński’s novel Malowany ptak (The Painted Bird) or in Marek Hłasko’s short story Szukając gwiazd (Searching for Stars). In the context of postmemory culture, a literary genre functions as a communicative and reflexive figure used first and foremost to social memory criticism which denies and falsifies the subject of the Holocaust. It serves to work out a space of dialogue with the audience and a space of reflection on one’s own representative potential. The situation thus conceived is visible in the texts which exploit the parable literary genetic frame. The article is an attempt to provide the answer to the question concerning the possibilities of the Holocaust experience representation as seen in Marek Hłasko’s Searching for Stars parabolic short story. Tadeusz Różewicz’s 1947 Niepokój (Anxiety) is one of most crucial poetic volume in the history Polish 20th c. literature and, as a matter of fact, most forgotten one. The article attempts to explain the origin of this paradoxical situation in which one should see both the consequences of the steps taken by Różewicz himself who markedly rephrased the volume, and a token of interpretive stereotypes durability that accumulated around Anxiety and that can be found even in the papers by such scholars (e.g. Tadeusz Kłak, Krzysztof Kłosiński) who declared the intention of critical evaluation of those stereotypes. Nonetheless, the article is also an attempt to reduce the literary historical carelessness: it aims to sketch the image of Anxiety’s reception among its first readers, and above all it shows the diversified content of the 1947 volume which questions the fixed conviction about the straight and independent relationship between Różewicz’s war experience and poetics of his early poems. The article presents the Polish reception of Marcel Proust’s work (from negation through acceptance, and finally affirmation) in the years 1950–1965. It starts with a description of Stalinism night which combated bourgeois culture of which “rotten West’s Proust” (Jan Kott’s sketches, for example) was an icon. Later, the author shows Paweł Hertz’s stance abundant in dissonances and Polish translations of Proust’s novels as well as acceptance of the fact that Proust is a vital writer for Polish literature of that period. The present article sketches the literary studies potential of Siegfried Unseld Archive (found now in Deutsches Literaturarchiv Marbach) for research in Polish literature transfer to German-speaking countries. The study touches upon the methodological issues vital for archivist and for literary translation sociology. The author analyses the processes of publisher’s archive transposition into a form of literary archive, pays attention to the correlation between the archive structure and access to information on publishing policy, production process, and literary translation strategies of communication. He also highlights the problem of proper presentation of documents which helps to avoid ‘archive positivism.’ Within the scope of literary transfer historiography, the paper presents the bibliogenesis of Polish literature translation into German in Suhrkamp Verlag. As based on comprehensive archive material, it shows the dynamics of publishing proposals, sketches the profiles of literary intermediaries, and includes the collected data into four case studies. The first refers to the figure of Siegfried Unseld as to an active agent in Polish-German literary transfer, the second discusses the function of Polish and German literary agencies, the third is a proposal of ‘exclusion historiography,’ namely incorporating not realised (though taken into consideration) publishing projects into the studies in reception, while the last one insights into an insufficiently researched aspect of foreign cultural policy connection with the publishing field. The present article, the third from the cycle presenting Lipski’s professional biography, is still open, and it shows the state authority’s impact on formally independent institutions, which in 1976 blocked Lipski’s scientific promotion and issued threat to remove him from work. The Directors’ working conditions at the Institute at that time were hard, though in spite of that they strived to successfully protect him. Lipski’s imprisonment for many years by the law directly lead to expiry of his employment relationship. Later, supported by Polish scholars, Lipski wanted to return to work at the Institute, unfortunately without success. The fruits of his work as a Polish scholars have been collected to this day. 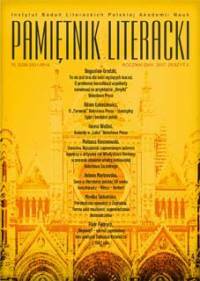 The reviewer discusses Małgorzata Rowicka’s monograph which vitally contributes to bibliological understanding of Mickiewcz’s creativity and its reception. The subject of the book is Mickiewcz texts’ presence in official circulation among readers at the period of partition. The review is a discussion of Paulina Małochleb’s study in literary images of the January Insurrection produced from 1860s to 1980s. It employs two methodological stances of which superior reference is the tradition of studies in memory developed within the framework of historical anthropology, while in her treatment of translation of historical experience into the available means of literary creativity, she exercises the tools of narratological-semiotic analysis to expound with them the changeable in time methods of the insurrection account meanings’ generation. The review discusses Małgorzata Büthner-Zawadzka’s monograph Warszawa w oczach pisarek. Obraz i doświadczenie miasta w polskiej prozie kobiecej 1864–1939 (Warsaw in the Eyes of Women Writers. 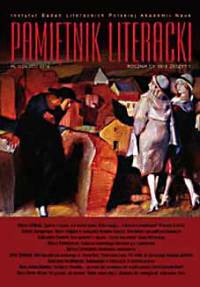 Image and Experience of the City in 1864–1939 Polish Female Prose). In-depth literary history studies and rich source material are neatly composed in the book with a cultural approach, while profuse references to extraliterary contexts set the analysed prose against the background of several epochs. The review discusses two academic publications, namely Literatura polska wobec Zagłady (1939–1968) (Polish Literature against Holocaust <1939–1968>) edited by Sławomir Buryła, Dorota Krawczyńska and Jacek Leociak, and Bartłomiej Krupa’s Opowiedzieć Zagładę. Polska proza i historiografia wobec Holocaustu (1987–2003) (Relating Holocaust. Polish Prose and Historiography against the Holocaust <1987–2003>). Both books are comprehensive monographs on writing about Jews extermination, richly illustrated with source materials. The reviewer offers a recapitulation of the problems contained in the two books and also enters into polemics with some theses expressed in them. The review analyses the edition of Aleksander Wat’s Notatniki (Notes) edited by Adam Dziadek and Jan Zieliński. The book was prepared on the basis of research methods developed on the ground of genetic criticism, which displays the working process character of the author’s record. The review is a presentation of Klaus Zeyringer and Helmut Gollner’s work Eine Literaturgeschichte: Österreich seit 1650 (History of Literature: Austria from 1650). Its center are the dilemmas connected with literary history synthesis writing with main focus on facts fidelity and temptation to subjective shaping.